The book A Writer at War:A Soviet Journalist with the Red Army, 1941-1945, edited and translated by Antony Beevor and Luba Vinogradova, features some interesting pieces of Soviet journalist Vassili Grossman's writing as a war correspondent with the Soviet Army. One of the most impressive of these is Grossman's article about Treblinka extermination camp, which appeared in November 1944 in the magazine Znamya under the title "The Hell Called Treblinka". Grossman's article about Treblinka contains some factual inaccuracies. For instance, Grossman overestimated at three million the death toll of Treblinka, which is currently held to be around 800,000 (according to the editors, "The reason why Grossman’s estimate was excessive is probably quite simple. He was right about the sixty carriages per train, but he does not seem to have discovered that because the station platform by the extermination camp was so short, the trains used to halt some way off, and only a section at a time was shunted to the platform. Thus it was not five trains of sixty carriages per day, but generally a single train split up into five sections."). Yet despite these inaccuracies, Grossman's Treblinka article stands out for the author's unique attempt to understand the confusion in the minds of the deportees and the hopelessness of their situation, which led to the passivity of most in being taken to the gas chambers. The respective parts of Grossman's article are quoted hereafter; emphases are mine. It is hard to tell whether it is less terrible to go towards one’s own death in the state of terrible suffering, knowing that one was getting closer and closer to one’s death, or to be absolutely unaware, glance from a window of a comfortable passenger car right at the moment when people from the station at Treblinka are telephoning the camp to pass on details about the train which has just arrived and the number of people in it. Apparently, in order to achieve the final deception for people arriving from Europe, the railroad dead-end siding was made to look like a passenger station. On the platform at which another twenty carriages would be unloaded stood a station building with a ticket office, baggage room and a restaurant hall. There were arrows everywhere, indicating ‘To Bialystok’, ‘To Baranovichi’, ‘To Volokovysk’, etc. By the time the train arrived, there would be a band playing in the station building, and all the musicians were dressed well. A porter in railway uniform took tickets from the passengers and let them pass on to the square. Three or four thousand people loaded with sacks and suitcases would go out into this square supporting the old and sick. Mothers were holding babies in their arms, older children kept close to their parents looking inquisitively at the square. There was something sinister and horrible in this square whose earth had been trampled by millions of human feet. The strained eyes of the people were quick to catch alarming little things. There were some objects abandoned on the ground, which had been swept hastily, apparently a few minutes before the party emerged – a bundle of clothes, an open case, a shaving brush, enamel saucepans. How did they get here? And why, right where the platform ends, is there no more railway and only yellow grass growing behind a three-metre-high wire fence? Where is the railway leading to Bialystok, to Sedlez, Warsaw, Volokovysk? And the new guards grin in such a strange way surveying the men adjusting their ties, neat old ladies, boys wearing navy shirts, thin girls who had managed to keep their clothes tidy throughout this journey, young mothers adjusting lovingly the blankets in which their babies are wrapped, the babies who are wrinkling their faces … What is there, behind this huge, six-metre-high wall, which is densely covered with yellowing pine branches and with bedding? These coverlets, too, are alarming: they are all different colours, padded, silk or satin. They are reminiscent of the eiderdowns that they, the newcomers, have brought with them. How did this bedding get here? Who brought it with them? And where are their owners? Why don’t they need them any longer? And who are these people with light blue armbands? One remembers all the thoughts that have come into one’s head recently, all the fears, all the rumours that were told in a whisper. No, no, this can’t be true. And one drives the terrible thoughts away. People have a few moments to dwell on their fears in the square, until all the newcomers are assembled in it. There are always delays. In each transport there are the crippled, the limping, and old and sick people, who can hardly move their feet. But finally everyone is in the square. An SS Unteroffizier suggests in a loud and distinct voice that the newcomers leave their luggage in the square and go to the bathhouse, with just their personal documents, valuables and the smallest possible bags with what they need for washing. Dozens of questions appear immediately in the heads of people standing in the square: whether they can take fresh underwear with them, whether they can unpack their bundles, whether the luggage of different people piled in the square might get mixed up or lost? But some strange force makes them walk, hastily and silently, asking no questions, not looking back, to the gate in a six-metre-high wall of wire camouflaged with branches. They pass anti-tank hedgehogs, the fence of barbed wire three times the height of a man, a three-metre-wide anti-tank moat, more wire, this time thin, thrown on the ground in concertina rolls, in which the feet of a runner could get stuck like fly’s legs in a spider web, and another wall of barbed wire, many meters high. And a terrible feeling of doom, of being completely helpless comes over them: it’s impossible to run away, or turn back, or fight. The barrels of large-calibre machine guns are looking at them from the low wooden towers. Call for help? But there are SS men and guards all around, with sub-machine guns, hand grenades and pistols. They are the power. In their hands are tanks and aircraft, lands, cities, the sky, railways, the law, newspapers, radio. The whole world is silent, suppressed, enslaved by a brown gang of bandits which has seized power. London is silent and New York, too. And only somewhere on a bank of the Volga, many thousands of kilometres away, the Soviet artillery is roaring. Meanwhile, in the square, in front of the railway station, a group of workers with sky-blue armbands is silently and efficiently unpacking the bundles, opening baskets and suitcases, unfastening the straps on the bags. The belongings of the newcomers are being sorted out and evaluated. They throw on the ground someone’s carefully arranged sewing kits, balls of threads, children’s underwear, undershirts, sheets, jumpers, little knives, shaving sets, bundles of letters, photographs, thimbles, bottles of perfume, mirrors, caps, valenki made from quilts for the cold weather, women’s shows, stockings, lace, pyjamas, packs of butter, coffee, jars with cocoa, prayer shawls, candleholders, books, rusks, violins, children’s blocks. One needs skill to be able to sort out all these thousands of objects within minutes and to appraise them. Some are selected to be sent to Germany. Others – the second-rate, the old and the repaired – have to be burned. A worker who’d make a mistake, like putting an old cardboard suitcase into a heap of leather ones selected to be sent to Germany, or throwing a pair of stockings from Paris, with a factory label on them, into a heap of old mended socks, would get into serious trouble. A worker could make only one mistake. Forty SS men and sixty Wachmänner were working ‘on the transport’. (5) This was how they referred to the first stage which I have just described: receiving a train, unloading people at the ‘railway station’ and getting them into the square, and watching the workers who sorted and evaluated the luggage. While doing this job, the workers often secretly shovelled into their mouths pieces of bread, sugar and sweets which they found in the bags with food. This was not allowed. It was, however, permitted to wash hands and faces with eau de Cologne and perfumes after they’d finished their work, as water was in scarce supply and only Germans and guards could use it to wash. And while the people, who were still alive, were preparing for the bathhouse, their luggage would already have been sorted, valuable things taken to the warehouse, and heaps of letters, photographs of new-born babies, brothers, fiancées, yellowed wedding announcements, all these thousands of precious objects, infinitely important for their owners, but only rubbish for the owners of Treblinka, were piled in heaps and carried to huge holes, where already lay hundreds of thousands of such letters, postcards, visiting cards, photographs, pieces of paper with children’s scribbles on them. The square was swept hastily and was ready to receive a new delivery of people sentenced to death. But things did not always go as well as I have just described. Rebellions sometimes broke out in cases when people knew about their destination. A local peasant, Skrzeminski, twice saw how people broke out of the trains, knocked down the guards and rushed towards the forest. They were all killed to the last man. In one of these cases, the men were carrying four children, aged from four to six. The children, too, were killed. A peasant woman, Maria Kobus, told about similar cases. Once, she saw how sixty people who had reached the forest were killed. But the new batch of prisoners have already reached the second square, inside the camp’s fences. There is a huge barrack in this square, and another three on the right. Two of them are warehouses for clothes, the third one is for shoes. Further on, in the western part of the camp, there are barracks for SS men, for guards, warehouses, for food and a farmyard. Cars and an armed vehicle are standing in the yard. It all looks like an ordinary camp, just like Camp No. 1. In the south-east corner of the farmyard, there’s a space fenced off with tree branches, with a booth at its front, on which is written ‘Sanitorium’. Here, all frail and very sick people are separated from the crowd. A doctor in a white apron with a Red Cross bandage on his left sleeve comes out to meet them. I will tell you below in more detail what happened at the sanatorium. There, Germans used their Walther automatic pistols to spare old people from the burden of all possible diseases. Inside the women’s barracks was a hairdresser’s. Naked women’s hair was cut with clippers. Wigs were removed from the heads of old women. A terrible psychological phenomenon: according to the hairdressers, for the women, this death haircut was the most convincing proof of being taken to the banya. Girls felt their hair with their hands and sometimes asked: ‘Could you cut it again here? It is not even.’ Women usually relaxed after their hair was cut, and almost all emerged from the barracks with a piece of soap and a folded towel. Some young women cried, mourning their beautiful long plaits. What were the haircuts for? In order to deceive them? No, Germany needed this hair. The hair was a raw material. I’ve asked many people, what did Germans do with these heaps of hair cut from the heads of the living dead? All the witnesses told me that the huge heaps of black, blonde hair, curls and plaits were disinfected, pressed into sacks and sent to Germany. All the witnesses confirmed that the hair was sent in the sacks to Germany. How was it used? No one could answer this question. Only Kon stated in his written evidence that the hair was used by the navy stuffing mattresses or making hawsers for submarines. I think that this answer requires additional clarification. Men undressed in the yard. Usually, Germans selected 150-300 strong men from the first lot to arrive in the morning. They were used to bury corpses and were generally killed on the second day. Men had to undress very quickly and tidily, leaving their shoes and socks in order, folding their underwear, jackets and trousers. Clothes and shoes were sorted by the second team of workers, who wore red armbands that distinguished them from those working ‘on the transport’. Clothing and shoes considered suitable for dispatch to Germany were immediately taken to the warehouse. All metal and fabric labels had to be removed from them carefully. The remaining things were burned or buried in the ground. The feeling of anxiety grew every minute. There was a strange, disquieting smell, which was at times overpowered by the smell of chlorine. Huge quantities of importunate flies seemed strange, too. Where were they all coming from, here, among pines and the trampled earth? People were breathing noisily, afraid, shuddering, peering at every insignificant little object they thought could explain, help understand, lift slightly the curtain of secret about the fate that lay ahead for them. And why are gigantic excavators rattling so loudly there, further to the south? A new procedure would then begin. Naked people were led to the cash office and asked to submit their documents and valuables. And once again, a frightening, hypnotising voice would shout: ‘Achtung! Achtung!’ … Concealing valuables is punishable by death …Achtung! Achtung!’ A Scharführer was sitting in a little booth knocked up from timber. SS men and Wachmänner were standing next to him. By the booth stood wooden boxes, into which the valuables had to be thrown: a box for banknotes, a box for coins, a box for watches, rings, earrings and brooches, for bracelets. And documents, which no one on earth any longer needed, were thrown on the ground – these were the documents of naked people who would be lying in the earth an hour later. But gold and valuables were subject to careful sorting – dozens of jewellers determined the pureness of metal, values of jewels, water of the diamonds. And an amazing thing was that the swine utilized everything, even paper and fabric – anything which could be useful to anyone, was important and useful to these swine. Only the most precious thing in the world, human life, was trampled by their boots. Here, at the cash office, came the turning point. The tormenting of people with lies ended; the torture of not knowing, a fever that threw them within minutes from hope to despair, from visions of life to visions of death … And when the time came for the last stage of robbing the living dead, the Germans changed their style of treating their victims abruptly. They tore things off their victims’ fingers, tore earrings out of their earlobes. At this stage, the conveyor executioner’s block required a new principle for functioning efficiently. This is why the word ‘Achtung!’ was replaced by another one, flapping, hissing: ‘Schneller! Schneller! Schneller!’ Quick, hurry up! Run into the non-existence! We know from the cruel reality of recent years that a naked person immediately loses the strength to resist, to struggle against his fate. When stripped, a person immediately loses the strength of the instinct to live and one accepts one’s destiny like a fate. A person who used to have an intransigent thirst for life becomes passive and indifferent. But to reassure themselves, the SS men applied additionally at this final stage of the conveyor execution work the method of monstrous stupefaction, of sending people into the state of complete psychological, spiritual shock. How did they do that? By applying a senseless, illogical cruelty, suddenly, sharply. Naked people who had lost everything, but were still a thousand times more human than the beasts in German uniform were still breathing, watching, thinking, their hearts were still beating. The guards knocked pieces of soap and towels out of their hands and lined them up in rows, five people in each. ‘Hände hoch! Marsch! Schneller! Schneller! Schneller!’ They stepped into a straight alley, with flowers and fir trees planted along it. It was 120 meters long and two meters wide and led to the place of execution. There was wire on both sides of this alley, and guards in black uniforms and SS men in grey ones were standing there shoulder to shoulder. The road was sprinkled with white sand, and those who were walking in front with their hands up could see the fresh prints of bare feet in this loose sand: small women’s feet, very small children’s ones, those left by old people’s feet. These ephemeral footprints in the sand were all that was left of thousands of people who had walked here recently, just like the four thousand that were walking now, like the other thousands who would walk here two hours later, who were now waiting for their turn at the railway branch in the forest. People who’d left their footprints had walked here just like those who walked here yesterday, and ten days ago, and a hundred days ago, like they would walk tomorrow, and fifty days later, like people did throughout the thirteen hellish months of Treblinka’s existence. The Germans called this alley ‘The Road of No Return’. A little man, who was making faces all the time and whose family name was Sukhomil, shouted with grimaces, in a deliberately broken German: ‘Children, children! Schneller, Schneller! The water’s getting cold in the bathhouse. Schneller, Kinder, schneller!’ And he exploded with laughter, squatted, danced. People, their hands still raised, walked in silence between the two lines of guards, under the blows of sticks, submachine-gun butts, rubber truncheons. Children had to run to keep up with the adults. Speaking about this last, sorrowful passage, all witnesses mentioned the atrocities of one humanlike creature, an SS man called Zepf. He specialised in killing children. This beast, who possessed a massive physical strength, would suddenly seize a child out of the crowd, and either hit the child’s head against the ground waving the child like a cudgel, or tear the child in two halves. Zepf’s work was important. It added to the psychological shock of the doomed people, and showed how the illogical cruelty was able to crush people’s will and consciousness. He was a useful screw in the great machine of the fascist state. And we should all be terrified, but not by the nature that gives birth to such degenerates. There are lots of monstrosities in the organic world – Cyclops, creatures with two heads, as well as the corresponding terrible spiritual monstrosities and perversities. It is another thing that is terrible: these creatures that had to be isolated and studied like psychiatric phenomena were living in a certain country as active and useful citizens. The journey from the ‘cash office’ to the place of execution took sixty to seventy seconds. People, urged on by the blows and deafened by the shouts ‘Schneller! Schneller!’, reached the third square and stopped for a moment, startled. In front of them was a beautiful stone building decorated with wood, looking like an ancient temple. Five wide stone steps led to the low, but very wide, massive, beautiful ornate door. There were flowers growing by the entrance, and flowerpots stood there. But all around there was chaos, one could see piles of freshly dug earth everywhere. A vast excavator was throwing out tons of sandy yellow soil, grinding its steel jaws, and the dust it raised was hanging between the earth and the sun. The rattling of the machine digging from morning till evening, the enormous trench graves, mixed with a mad barking of dozens of Alsatian guard dogs. There were narrow-gauge railway lines on both sides of the death building, along which men in baggy overalls brought dumper trucks. The wide door of the death house opened slowly, and two assistants of the chief, whose name was Schmidt, appeared by the entrance. They were sadists and maniacs, one of them tall, about thirty years old, with broad shoulders, a dark-skinned excited face and black hair, the other one younger, short, with brown hair and waxy, yellow cheeks. We know the names and surnames of these traitors to mankind. The tall one was holding a massive, metre-long gas tube in the hand, the other one was armed with a sabre. Schmidt’s assistants at the entrance to the building drove people through the open doors into the gas chambers. The SS-man called "Zepf" was Josef Hirtreiter, the name "Zepf" resulting from a misunderstanding by Treblinka inmates of "Sepp", a typical German short form of Hirtreiter's first name by which other SS-men called Hirtreiter. This was established by the Frankfurt Court of Assizes (Landgericht) at a trial that ended with the court's judgment dated 3.3.1951 (14/53 Ks 1/50). While the court's findings of fact regarding Hirtreiter's crimes don't mention the cruelties described in Grossmann's article (the judgment mentioned that Hirtreiter's participation in the gassing in Treblinka's "Upper Camp" could not be proven), they mention that Hirtreiter frequently hit people on their way through the "tube" (with a special whip interlaced with lead), on several occasions conducted old people and children to the so-called "Lazarett", where they were shot, and in at least 4 cases killed children 1½ - 2 years old, who had been left behind by the railway cars at the guards' orders, by grabbing them by their legs and smashing their heads against the railway cars. Hirtreiter was sentenced to lifetime imprisonment. And a terrible feeling of doom, of being completely helpless comes over them: it’s impossible to run away, or turn back, or fight. The barrels of large-calibre machine guns are looking at them from the low wooden towers. Call for help? But there are SS men and guards all around, with sub-machine guns, hand grenades and pistols. They are the power. In their hands are tanks and aircraft, lands, cities, the sky, railways, the law, newspapers, radio. The whole world is silent, suppressed, enslaved by a brown gang of bandits which has seized power. London is silent and New York, too. And only somewhere on a bank of the Volga, many thousands of kilometres away, the Soviet artillery is roaring. On this date 70 years ago, at 7:20 hours Moscow time, a devastating barrage from 3,500 Soviet guns against the Third Romanian Army marked the beginning of Operation Uranus, which led to the encirclement and eventual destruction of the German Sixth Army at Stalingrad. Nikolai Iwanowitsch Krylow, the Soviet 62nd Army's Chief of Staff, is quoted on the German Wikipedia page about the battle as having written that "the people in the countries assaulted by Germany and the millions in the concentration camps gained their first hope" (my translation of the German text) with the Soviet victory at Stalingrad. 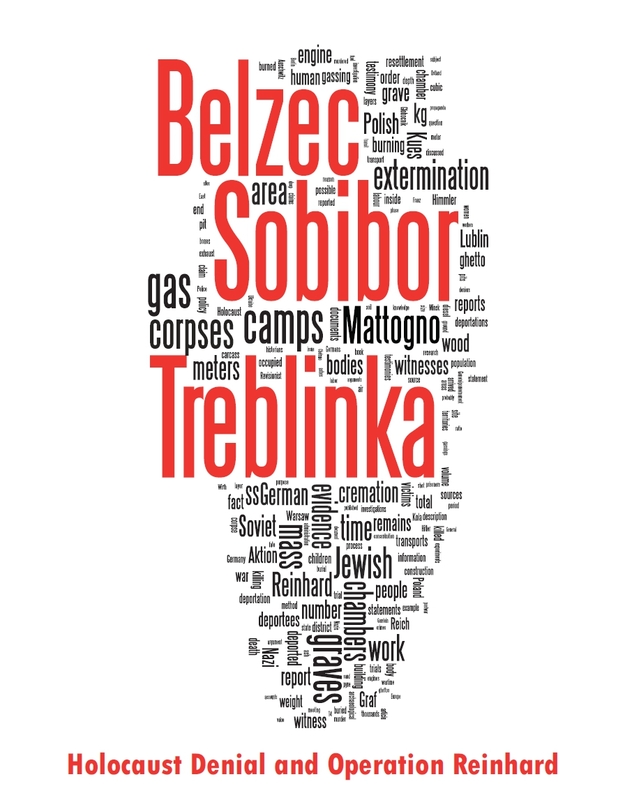 There was one happy day in the hell of Treblinka … The prisoners planned an uprising. They had nothing to lose. They had all been sentenced to death. Every day of their present existence was a day of suffering and torture. Germans would have had no mercy for them, witnesses of terrible crimes, they would all end up in one of the gas chambers and be replaced by new men. Only a few dozen men survived in Treblinka for weeks or months, instead of days. These were qualified specialists – carpenters, stonemasons, tailors, hairdressers. They were the ones who formed a committee for the uprising. They didn’t want to escape until they had destroyed Treblinka. A decision was made to start the uprising on 2 August. The signal was to be a revolver shot. (11) New flames soared into the sky, this time not the heavy greasy flames of the burning corpses, but the bright, hot and violent flames of a fire. The camp buildings were burning … A thunder of shots was heard, machine guns started to fire from captured, rebel towers. The air was shaken with rattling and cracking, the whistling of bullets became louder than the humming of carrion flies. 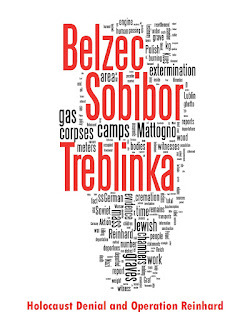 On 2 August, the evil blood of SS men poured on to the soil of the hellish Treblinka. … They were all confused, they forgot about the system of Treblinka’s defence that had been prepared so hellishly well, forgot about the deadly fire that had been organised in advance, forgot about their weapons. While Treblinka was ablaze and the rebels broke through the fences, saying a silent goodbye to the ashes of their people, SS and police units were rushed in from all directions to hunt them down. Hundreds of police dogs were sent after them. German aircraft were sent up. Battles went on in the forest and in the marches. Very few of the rebels survived, but what difference does it make? They died fighting, with weapons in their hands. "Hirtreiter was arrested in Frankfurt on July 2, 1946 and, whilst being interrogated about his role in the euthanasia project at Hadamar, revealed that he had worked at a death camp in ‘Malkinia’ in which Jews had been killed in gas chambers. His interviewer did not know that Hirtreiter was referring to Treblinka, and thus did not pursue the matter." Hirtreiter does not appear in M&G's Treblinka 'study'. I'm being sarcastic of course, selectively quoting sources is what you do best. I understand that some news media erroneously reported that Adam Lanza had Alzheimer's. Did Grossman personally the events described, or is he relating what other people told him. A few discrepancies mean nothing in the big picture, and this reflects more on the people Grossman may or may not have interviewed, rather than on him, or his account as a whole. Of Beevor's book about Grossmann's writings, which contains Grossman's 1944 account about Treblinka, which appeared in November of that year in Znamya under the title 'The Hell Called Treblinka', and which was the publication of Grossman's I referred to at the beginning of my blog? Nothing there either about moving knives or a pond full of acid. Grossman mentions gas chambers and shooting at the 'Sanitorium'. You are quoting from an earlier publication of Grossman's, quoted on page 267 of Beevor's book, which - as is suggested by the scan on your hideous website, but I'll check the book at home) - was merely the retelling of a "story" that someone told to Grossmann, before Grossmann had the opportunity of getting a clearer picture of killing methods at Treblinka by interviewing former inmates of the camp and other witnesses on site. And which is therefore highly irrelevant. That seems to be rather your problem, and the accusation is utter nonsense. I'm not "selectively quoting" if I'm quoting from a particular publication of Grossman's (which, as I pointed out, contains some factual errors) but not from another publication by the same author, written at a time when the author did not yet have access to direct evidence, and which moreover seems to consist only of recounting or reporting someone's "story". Last but not least, could I please have the name of the self-projecting individual who accuses me of "lying by omission"? even though it's was long ago dropped for gassing by engine produced carbon-monoxide». If that was so, then why is there no mention of "steam" in the IMT's judgment, and why does the judgment mention Treblinka only as a camp where people "were destroyed in gas chambers"? "All who were fit to work were used as slave labourers in the concentration camps; all who were not fit to work were destroyed in gas chambers and their bodies burnt. Certain concentration camps such as Treblinka and Auschwitz were set aside for this main purpose."